With the mountains and ocean less than an hour away from home base, The Astronomer and I have a range of leisure options during the weekends. Whereas The Astronomer grew up camping and canoeing in the Midwest, my outdoor experiences consisted of sixth grade camp (Camp Fox—represent!) and lounging on the beach in San Diego. I am a self-proclaimed “hotel person,” so it came out of left field when I suggested to The Astronomer that we go hiking in the mountains nearby. Needless to say, he enthusiastically agreed. 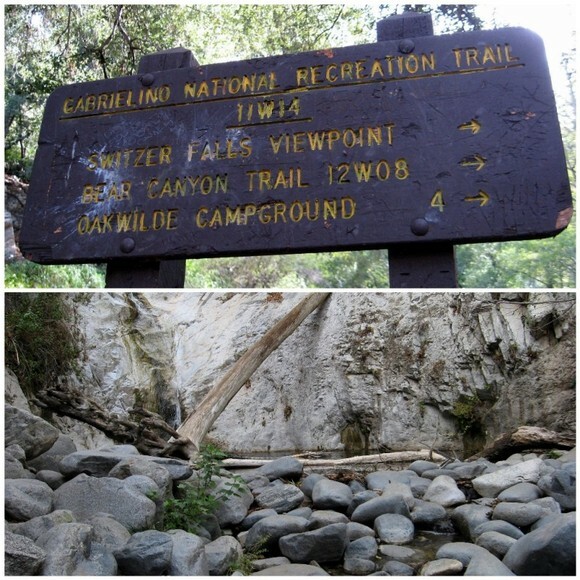 My friend Laurie suggested that we hike to Switzer Falls for our introductory outing. 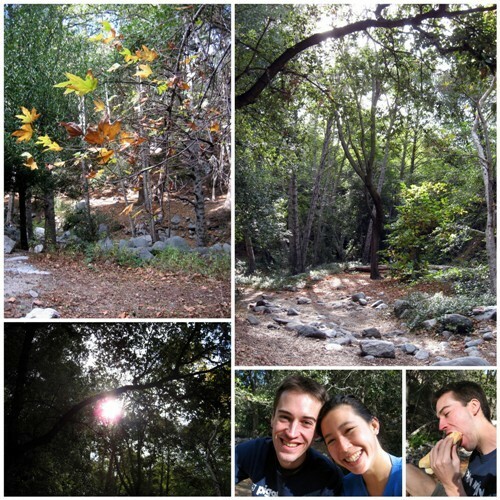 Before heading to the mountains, we drove to the San Gabriel Valley for hiking snacks. For me, the absolute best part of hiking is eating in the woods, preferably perched atop a giant rock. Bánh Mì & Chè Cali is a local chain selling Vietnamese sandwiches, sweets and small nibbles. According to gas•tron•o•my reader Danielle, the branch in Alhambra is the freshest. However, due to time constraints, The Astronomer and I visited the one on San Gabriel Boulevard. Sandwiches hover around $2.25 at Bánh Mì & Chè Cali. There’s also an on-going “buy two, get one free” deal that The Astronomer and I couldn’t pass up. For our three sandwiches, we chose a thit nuong (grilled lemongrass pork), bi (sliced pork skin and pork), and nem nuong (sweet barbecued meatballs). The damage was $4.50—almost as cheap as Saigon. Bánh mì sandwiches are perfectly portable meals that hold their shape surprisingly well even after being bruised and battered in a backpack. 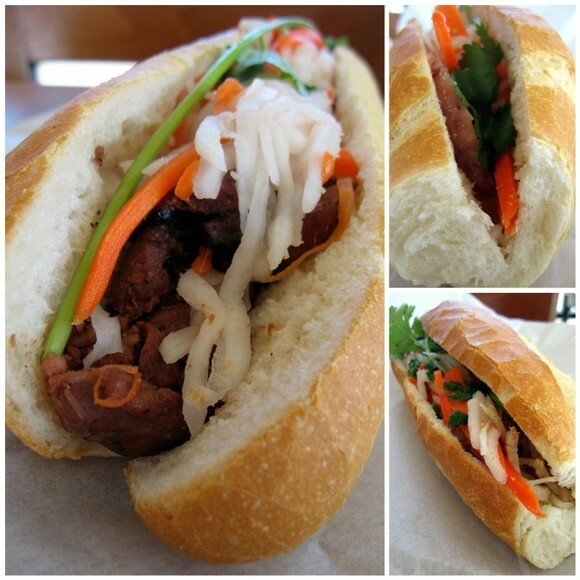 Overall, the sandwiches from Bánh Mì & Chè Cali were decent, but not fantastic. The baguettes were too thick and not ideally crisp, and the fillings were mostly so-so. With its strong lemongrass flavor, the thit nuong was our favorite of the three. The bi sandwich lacked scallion oil and tasted dry and bland as a result. I’ll have to try the sandwiches at the Alhambra branch before I write-off Bánh Mì & Chè Cali. A Chau is still tops in my book for bánh mì sandwiches. The hike to Switzer Falls was beauteous. However, the falls turned out to be merely a trickle because California is deprived of rain. I didn’t mind. 135 S San Gabriel Blvd. I’ve had banh mi from Banh Mi & Che Cali and they’re decent. I prefer the Rosemead location more because it’s much bigger with more varieties of che. In addition to banh mi, they also have pho, freshly made springrolls, beef and chicken curry, various kinds of Vietnamese sweets, etc. Parking is much easier too. But my favorite banh mi shop, though, is Banh Mi My Tho (www.banhmimytho.com.) The shop is small but the taste is big at this place. I think they have the best tasting banh mi around. Even better than the fancy schmancy Mr. Baguette. Hi G – Love the sign…. 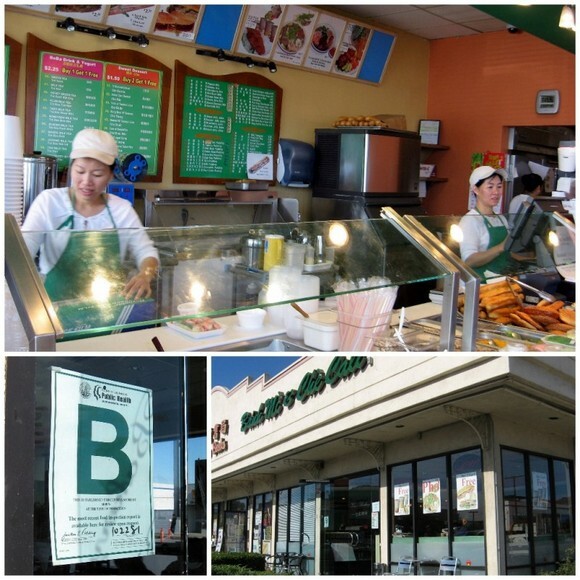 it’s ‘B’, I guess that stands for Banh Mi? ;o) Looks like you’re having a great time in LA. Christine – The che selection did look mighty appetizing, but hiking and che aren’t a match made in heaven like hiking and banh mi. William – Thank you very much for the recommendation. My “to eat” list is growing by the day, but I’m gonna get to it! Kirk – ‘B’ stands for belicious! 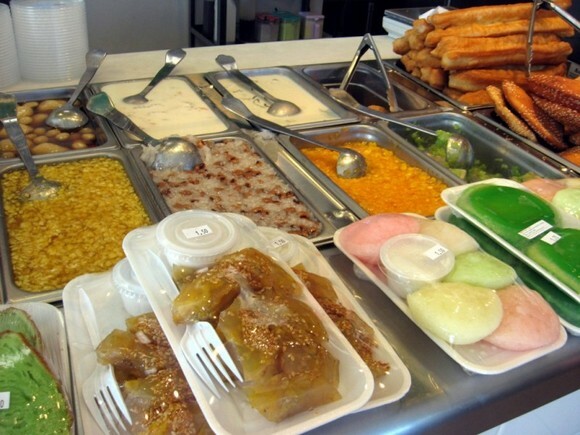 omg, i just went to banh mi ce chali last wknd! got the dac biet, which was pretty tasty. not bad for $2.25. next time i should get the buy 2 get 1 free deal. It looks so dry and boring. Is there no sauce? Jill – To keep things moist, there’s a bit of mayonnaise and pate. Mmm!